When asked how the school manages to run in spite of these hindrances, the teacher said it is his duty to impart knowledge to his students in all circumstances. The Faizabad school in Uttar Pradesh which has only one teacher and one room. New Delhi: A school in Faizabad in Uttar Pradesh has students from class I to Class VIII studying in one room under one teacher and with no access to clean drinking water, fans or toilet facilities. The dilapidated building houses a total of 55 students. The school is in a shambles with the plaster peeling off the walls and dirt everywhere. "A total of 55 students study here. I teach them in one room as no other room is in usable condition. 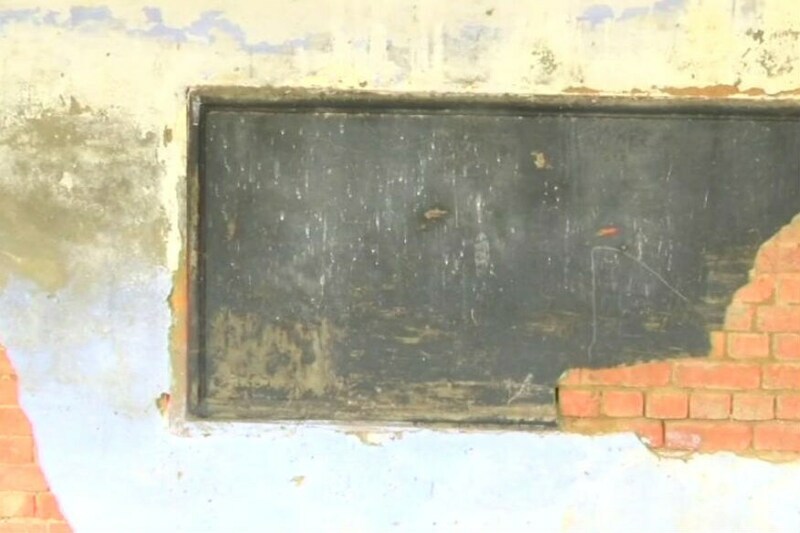 There are no toilets, fans or facility of clean drinking water in the school," Mukesh Kumar Yadav, the primary school teacher told news agency ANI. When asked how the school manages to run in spite of these hindrances, Mukesh said that being a teacher, it is his duty to impart knowledge to his students in all circumstances. Mukesh says he knocked on the doors of many officers in Faizabad about the critical condition of the school, but none responded. Apart from the deplorable state of the school building, there is no clean drinking water and fans. Lacking a boundary wall, the cattle strolls in sometimes. Mukesh says the the number of dropouts is increasing because it is difficult for students to continue studies in such an atmosphere.